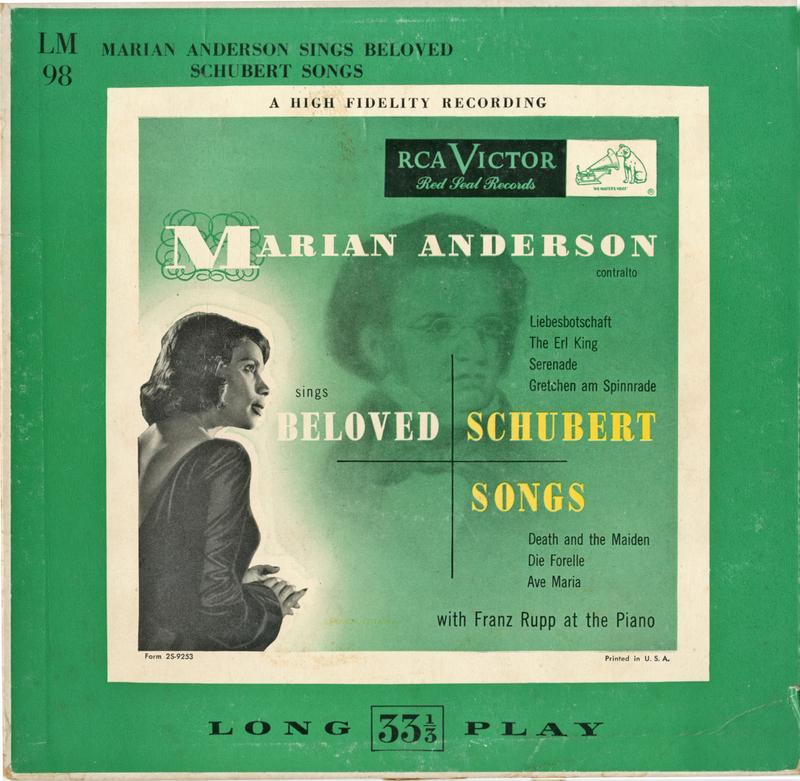 Anderson, Marian, 1897-1993. 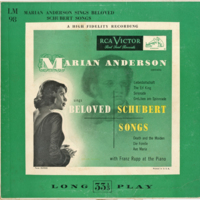 “Marian Anderson sings beloved Schubert songs (cover).” Marian Anderson Collection, MS 068. WCSU Archives, 5 Apr. 2018. Accessed on the Web: 19 Apr. 2019.